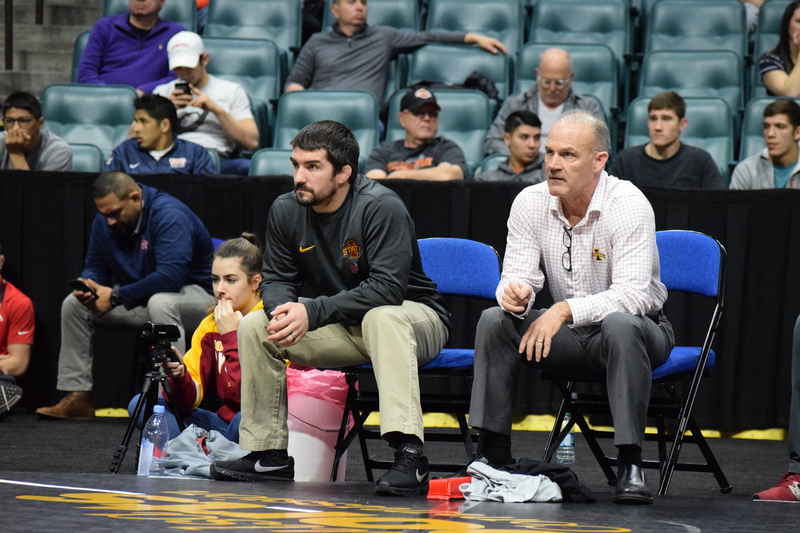 Kevin Dresser wrapped up his first full season as Cyclone head coach in Cleveland leaving the NCAA championships scoring three points as a team. If one was doing a review solely based on the numbers theos results don’t necessarily compare favorably to that of his predecessor’s final results, but despite all the hype the hiring of this new coaching staff brought into the program, these results should have been expected (to a degree). 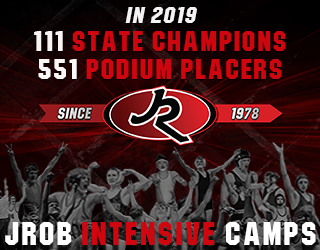 When he came into the program Dresser inherited a squad with two wrestlers with NCAA experience*, and by the end of this season every single wrestler who competed at the Big 12 championships was a new face from the prior year. Those two wrestlers with postseason experience were senior Dane Pestano and Marcus Harrington, though both were in different situations from the last time they qualified. Pestano was a qualifier at 184 pounds as a sophomore, cut down to 165 pounds as a junior, and then tried to return to 184 in his final season while Harrington was bumping up to 285 pounds after qualifying at 197. In short this roster wasn’t full of experience and the talent that was in the room was still incredibly raw. The hiring of Dresser also created some “bad results” for the roster with one of the other obstacles faced by the new staff was the exodus of wrestlers from the previous administration not feeling the same comfort, sharing the same vision, or flat out not fitting in. This inability to mesh would wind up causing eight wrestlers to leave either before or in the middle of this season. The hardest hit of course was the departure of Kanen Storr at 141 pounds, who potentially could have given the Cyclones their second NCAA qualifier this season (though teammate Ian Parker bumped up from 141 and was great in his short run as replacement) which definitely would have given this post-season recap a little bit more positivity to look forward to. Instead, we saw the talented Michigan prep depart midseason and eventually announce his transfer to Michigan. Still, the season wasn’t all doom and gloom. During the regular season the Cyclones managed to go 8-10 as a dual team, picking up three conference dual wins. While the record is still far from where fans and the staff’s expectations on where this program should be, it is an important benchmark for the squad. In the final year of Kevin Jackson’s run the team finished the dual season 1-12, with one conference win. If someone needed proof that this program is trending in the right direction it’s certainly a place to start the discussion. The bigger indicator would be to take a glance at the potential lineup the Cyclones could feature next season. Heading into next year the team should take yet another step forward. After turning over all ten weight class starters from 2017 to 2018, next year’s lineup returns all but one starter – Pestano at 184 – and the team should see several new faces push those veterans for starting roles to give the Cyclones competition (iron sharpens iron) and provide some much needed depth. For starters the Cyclones stand to improve significantly at 125 pounds. 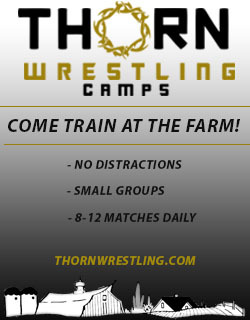 Of the eight program departures this team experienced, two of those wrestlers were at 125 pounds. The preseason projected starter Danny Vega left before the team’s first competition, and Jon Marmolejo was gone before the new year. From there Dresser had to turn to a pair of walk-ons. First, Jakob Allison who missed the end of the year with a broken hand, and then Sinjin Briggs a midseason walk-on. Despite all the good things we can say about what Allison and Briggs did by stepping in the lineup (and they should be commended) it stands to reason that Rutgers transfer Alex Mackall should be a significant upgrade for the team. 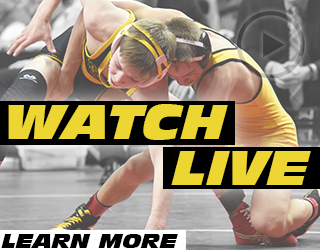 Transferring between semesters, Mackall didn’t get many opportunities to compete, and none of them could be as a varsity member, but he did win the Sioux City Dave Edmonds Open at 125 pounds. The hope is Mackall will be able to provide some sort of production out of the 125-pound slot for the Cyclones, as the depth in the room doesn’t get a whole lot better. While Dresser did an admirable job filling out his 2018 recruiting class, there doesn’t appear to be help on the way for this weight in the immediate future. The 133-pound weight should see some competition that should only benefit Iowa State. Prior to Storr leaving this weight looked to be chalk full of names with Parker battling Simmons for the spot, and true freshman Austin Gomez waiting in the wings. With Parker now filling out to 141 that leaves just 2018 starter Simmons and Gomez to battle it out for starting time. Gomez got a late start to his first year of competition due to the staff taking a conservative approach to his return following a concussion suffered very early on. In January Gomez was finally able to get on the mat and he finished the season with three college open titles and one of those included a win over Simmons in the finals. Given Gomez’s upside many are expecting him to come in and win the spot next season, which he will certainly be capable of, and many will hope he will be able to help this team take a step forward. The next two weights are definitely going to be viewed as the rock of this lineup. 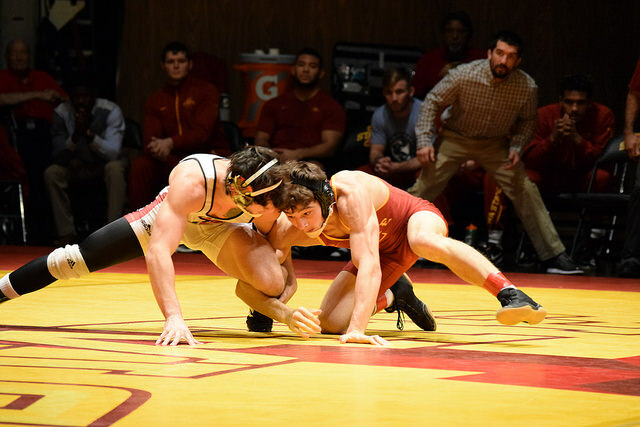 Once he earned the spot in mid-November there is little doubt that Jarrett Degen was the team’s top performer last year, as evidence look no further than him being the only wrestler to earn a NCAA bid – where he reached the round of 12. Parker should be in a similar position next year after he has a full offseason to adjust to 141 pounds as he started the year at 133. Parker’s debut at 141 was nothing short of amazing as he knocked off a three-time NCAA qualifier and then a two-time NCAA champion in the same weekend to mark his moment of arrival. Shortly after that he banged up his knee – which was then scoped in season – and he never quite returned to full form. With there now being time for Parker to recover as well as fully commit to 141 pounds we should see a strong one-two punch in the lower weights. One wrestler that has been able to make some strides under the new staff was sophomore Chase Straw who moved up to 157 pounds this season and fell one match short of automatically qualifying for the NCAA tournament. The most obvious sign of improvement is by looking at his matches with UNI’s Logan Ryan. When the two met in February for the teams’ dual Ryan came out on top 3-1. Fast-forward less than a month and Straw reversed the outcome winning 8-2. A considerable turnaround. Heading into next year if Straw’s progression continues we could see him crack the top 20 rankings and be a viable postseason wrestler for the Cyclones. By all accounts 165 pounds was a difficult weight to sort out, even for the staff who needed a wrestle off in the month of February to determine the starter between three different guys. By the end of the season Skyler St. John won out and was the postseason starter, taking the spot from Brady Jennings who came on strong, late. The wrestler that was left out was Logan Breitenbach, who was unable to put together the resume or secure wins in the room to be a spot contender. Onto next year it’s widely expected that St. John will enter the season as the leader for the spot, but I imagine that Jennings will still very much be in contention. 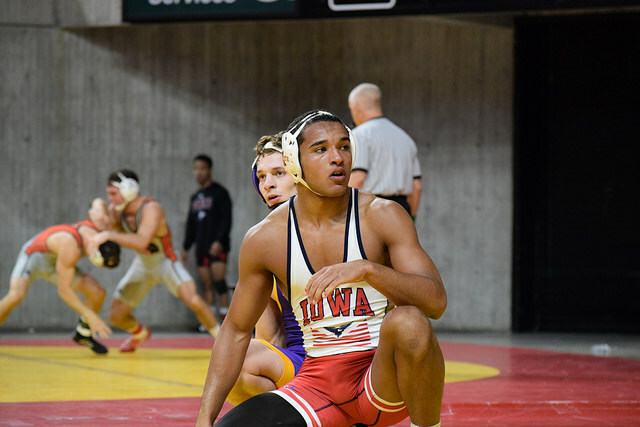 As far as the recruiting class goes Dresser brought in several solid options, but all will likely wait their redshirt season before actually contending for the spot. 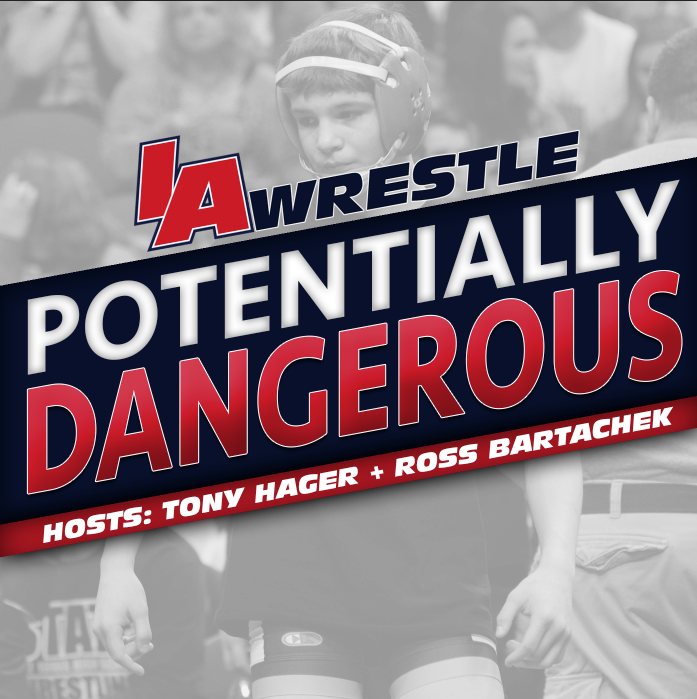 Iowa preps Grant Stotts and Isaac Judge, along with Ohio phenom David Carr all project around at the 157-165 weights, but with this team still not poised to do a lot of postseason damage Dresser will redshirt these options much like did this season with Marcus Coleman. Speaking of Coleman next season should hold the debut of the highly touted freshman. During the season we did a feature piece on Coleman in which he stated his desire to make in impact on the program. His head coach had nothing but great things about him, even going as far as labeling him the best option in the room at 174 pounds already. That reason alone is enough to bolster fans’ confidence that he will be the starter going forward – which should push this season’s starter, Danny Bush, up to 184 pounds. 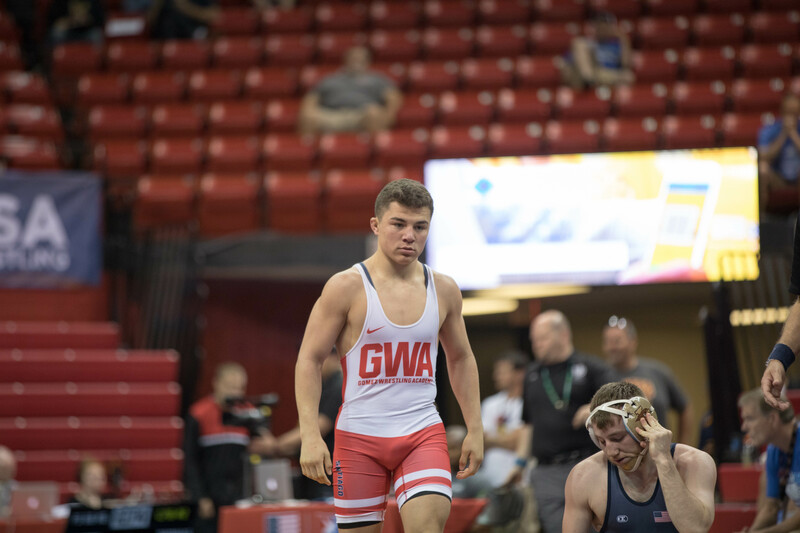 Besides Bush, the next best options at 184 pounds may come from the 2018 recruiting class as both Glenwood’s Anthony Sherry and Valley-West Des Moines’ Joel Shapiro. Both are probable redshirts, with Shapiro being almost an absolute certainty to do so. Next year’s team is still one that needs to make some big strides before they are even going to be considered the top of their conference let alone the nation. It’s for that reason that Shapiro will remain the biggest candidate to redshirt. With essentially two wrestlers at the same weight coming in the same class the possibility for Sherry to go right away would seem to be on the table if Bush struggles to adjust to the bigger competition. “He’s had some progress. He’s done some really good things and he has made some strides, but he’s got to challenge himself to make that next stride. That next stride isn’t going to be perfect and you have got to get it done when things on perfect. Towards the end of his freshman campaign Colbray appeared to have turned a corner, knocking off SDSU’s Nate Rotert and West Virginia’s Jake Smith, who were both considered top 20 wrestlers during the season. We will see if Colbray is able to take those steps this offseason and realize the talent that his coach sees in him. The final cog in the Iowa State lineup is to-be senior Marcus Harrington who will look to close out his Cyclone career by returning to the NCAA tournament. This season he was named an alternate at heavyweight, which essentially made him the 34th man for the NCAA tournament. Had any wrestler needed to withdraw from the field at 285 pounds, Harrington would have stepped in as a qualifier. Instead Harrington was left on the outside looking in, getting right to the edge of achieving one of his goals, but coming up just short. 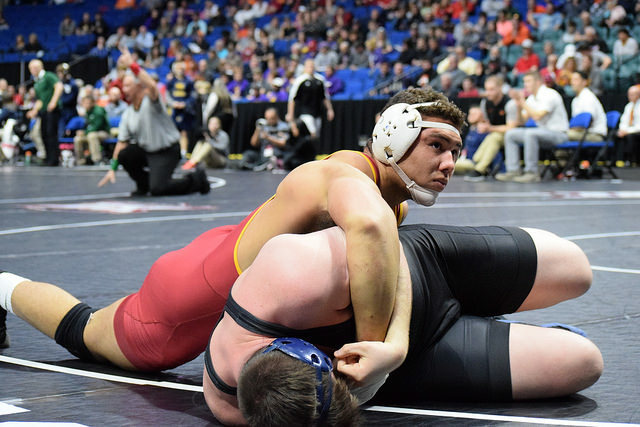 Despite missing the NCAA tournament we did see a lot of great things from Harrington in his junior season, as his matches came down to determine the outcome of his team’s dual victory on several occasions. Four of Harrington’s dual wins came in a spot in which he either needed to win to secure his team’s victory or win to re-take the lead. While that sort of thing may not show up in the stat sheet it does go a ways in showing the type of poise Harrington displays and if he can continue to turn in this big-time wins he just may be punching a ticket next March. What we are left with is a team that didn’t necessarily come in with big expectations due to the lack of established talent, but came out of the season with a pair of blossoming stars with a couple more potentially on the way. Common sense tells us that as each wrestler gets yet another season under their belt they should continue to progress and get even better. While that may not always be the case, its definitely the expectation for many of these wrestlers in the lineup. The core of this team is now set. After strong rookie seasons it will be up to Parker, Degen, and Colbray to take the next steps in the careers to help push this rebuild along with the help of veterans Straw and Harrington. The new faces will also play their role in helping this team climb up the team standings ladder. All along Dresser has preached a patience during his first few seasons, which probably means that Cyclone fans are not through the woods just yet. Next season should be similar to this one where we won’t see Iowa State contending for Big 12 or NCAA titles, but there should be some noticeable improvement in both results and the room atmosphere. March 30, 2018 in Iowa State Cyclones.